Caring for your feet is especially important if, for example, you suffer from diabetes, as even the smallest injury can affect you in a major way. 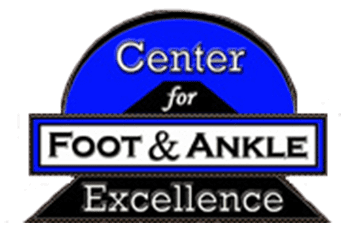 Kenneth J. D’Ortone, DPM, at the Center for Foot and Ankle Excellence in Philadelphia understands that something as small as an ingrown toenail needs treatment right away. Dr. D’Ortone can help you decide how to treat the nail and also how to prevent another ingrown nail in the future. Call his office or book an appointment online today. An ingrown toenail happens when your nail begins growing sideways into your skin instead of straightforward. Ingrown nails usually occur in the corner of your big toe. The pain worsens until the ingrown toenail is corrected or removed. Dr. D’Ortone suggests a consultation when you first notice the pain from an ingrown toenail. Protecting your feet and toenails can prevent most ingrown toenails. If you notice pain and redness at the corner of your big toe, call Dr. D’Ortone for an examination as soon as possible. During your appointment for an ingrown toenail, alert Dr. D’Ortone if you have severe pain or pus in the ingrown nail area. If the redness has increased since making the appointment, be ready to explain how it has changed. If the ingrown toenail is diagnosed early, you may be able to treat it by lifting the nail from the skin with floss and inserting cotton under the nail. The cotton stops the nails from growing deeper into your skin. Dr. D’Ortone may suggest removing part of the toenail and treating the skin for infection. If the nail is treated but grows inward again, he may recommend removing a section of the nail and part of the nail bed to discourage the nail from regrowing later. Dr. D’Ortone explains the different treatment options for an ingrown nail during your consultation. You can prevent ingrown toenails by wearing shoes that are the correct size for your feet. You can wear protective shoes if you’re at risk of injuring your toes while at work. Be sure to trim your nails straight across and to a moderate length, and if you have a pedicurist, be sure to tell them to trim straight across. Dr. D’Ortone suggests allowing his team to trim your nails if you’re unable to do so on your own. If you have an ingrown toenail needing treatment, Dr. D’Ortone at the Center for Foot and Ankle Excellence in Philadelphia can help. 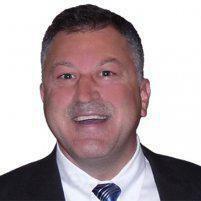 Call his office or schedule an appointment online today.